hi . can you please teel me what i fonun. Is the 1993 Roosevelt dime showing the superimposed Lincoln Memorial design as an incuse (inward) impression or is it with relief (the design stands up from the dime)? This is really something that needs to be viewed in-hand. I suggest you have this coin evaluated by a third-party coin grading firm or another professional. hi . . thank you so much for answer. . i am a little confused . somebody from different forum say to me it's not worth nothing. . they sayhi . . thank you so much for answer. . i am a little confused . somebody from different forum say to me it's not worth nothing. . they say You have a dime. It's worth 10 cents. This is why in-hand inspections are important. 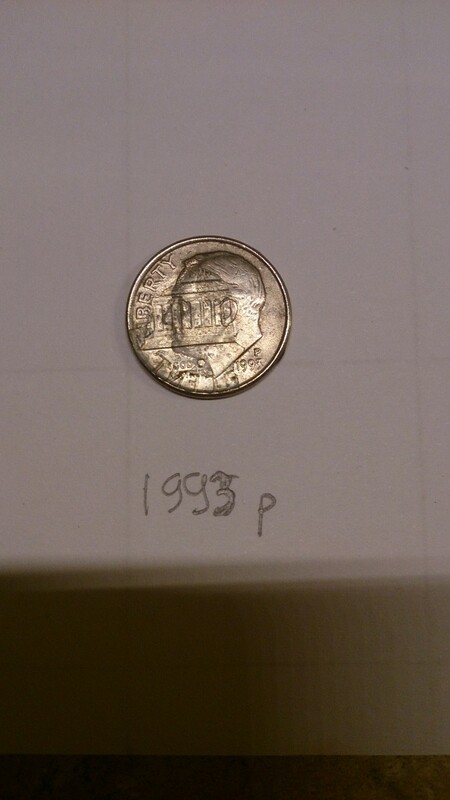 The way to test if the coin has glue on it is to try rubbing that section of the coin with acetone (be sure to follow all safety precautions when using acetone). If the Lincoln Memorial design is epoxy, glue, or another residue,. it will come off after it soaks in acetone for a few minutes. If not, it may be an error. Please let me know what happens after the coin is soaked in acetone. hi . Joshua. thank you so much. 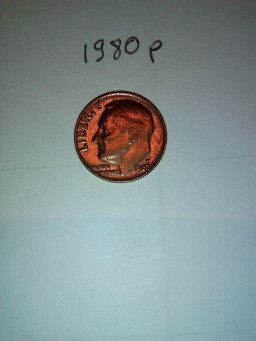 what about the other coin it' s a dime looks like copper? 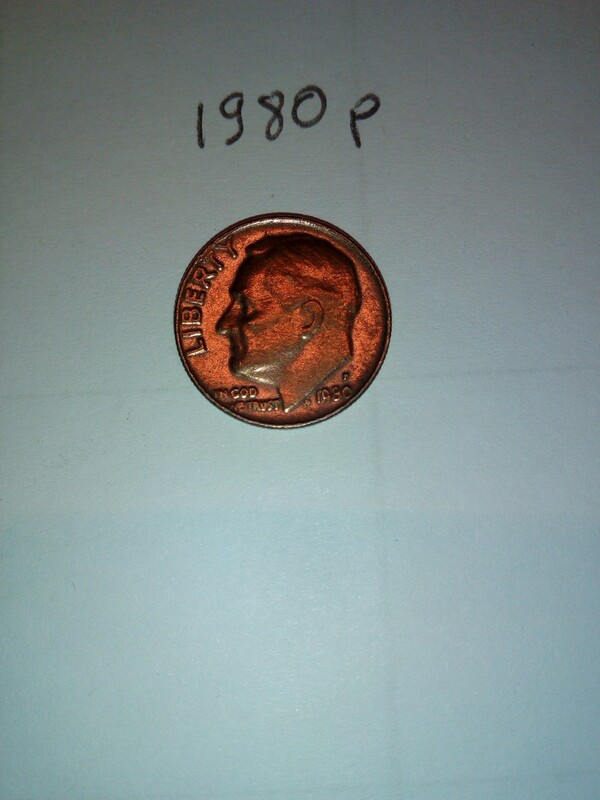 The other dime is toned a deep orange color (at least, so it appears to me in the image); this could have occurred through exposure to chemicals like sulfur. If it's worn, the dime is worth face value.